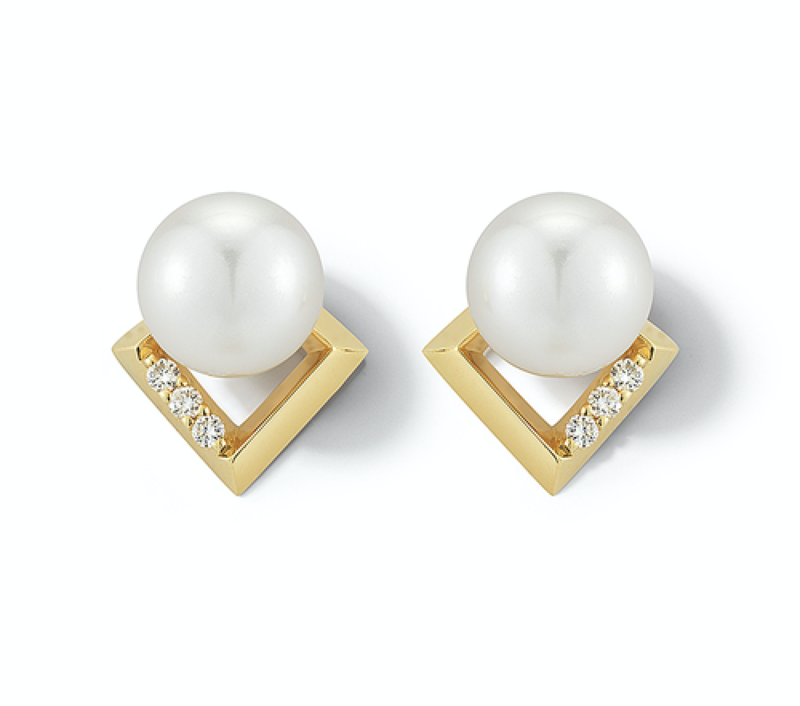 Designer Heena Shah Introduces a New Collection, Featuring Japanese Akoya Pearl. Luminescent pearls bring light to the face, and confidence to every look. They can show off a woman’s poise and ease by illuminating the summer’s bold colors. Because they’re so essential to any contemporary, luxurious style, I think of them as the base for a kind of minimal, modern uniform. For timeless style, women have turned to pearls for an understated, elegant look. From date night to the board room, they are the staple of grace and luxury. Versatile and distinct, pearl jewelry ranges from delicate stackables to large statement pieces. 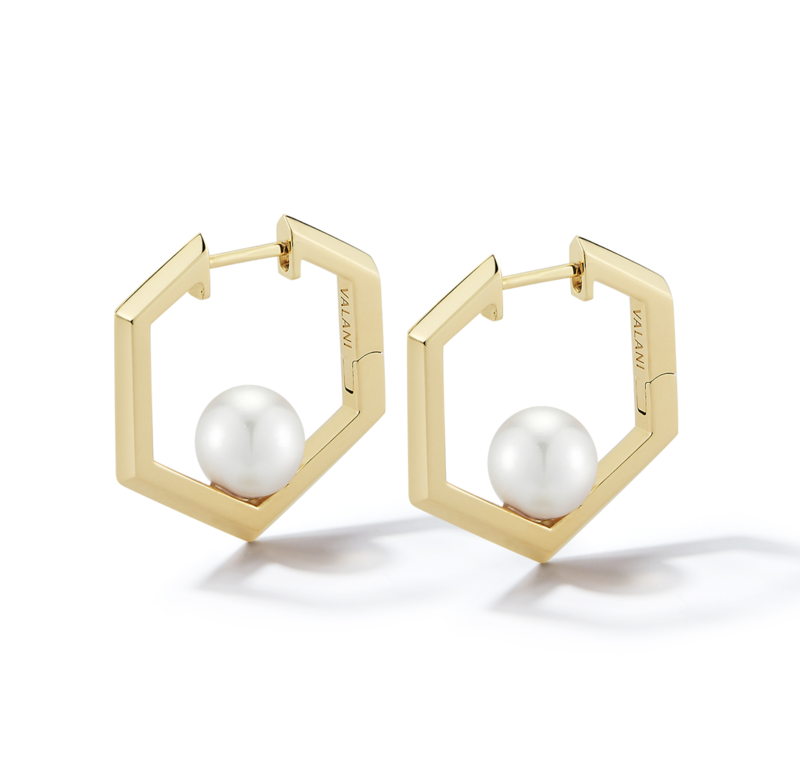 Award-winning designer Heena Shah elevates the organic gemstone in her latest Valani Atelier collection, Kharis Pearl; it features Japanese Akoya and 18K yellow gold accessories. 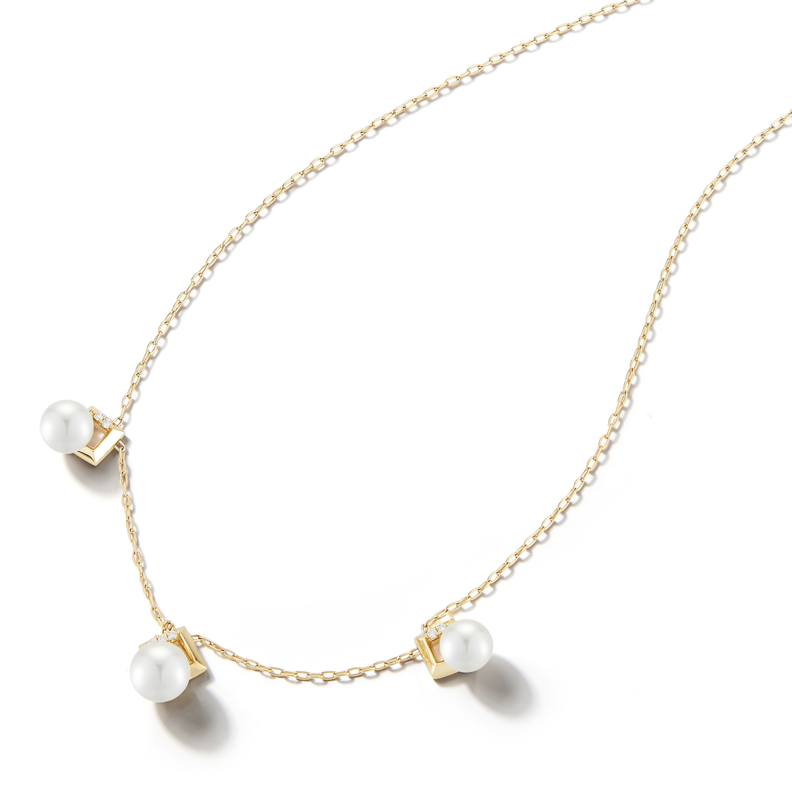 For a fresh summer look, the new Kharis III Pearl Necklace features three stunning pearls on chain, perfect for layering. Graduated with 7mm and 6.5mm pearls, each pearl drop on the necklace features VS diamonds with geometric settings. Sitting along the collarbone at 18 inches, Kharis III is the perfect everyday indulgence. In the Kharis Peak Pearl Ring, a modern hexagon setting sits comfortably on the hand, with a centered diamond and asymmetrically placed pearl. Bold and sculptural, it can be stacked alongside other Hexa rings in the Valani Atelier collection or worn alone as a statement piece. Kharis Pearl Earrings match the collection necklaces, bringing back studs for layering and chic, beach-inspired looks. A wardrobe staple, they work with any outfit, upgrading shorts, or highlighting summer shades. For a bold look, Kharis Hexa Pearl Earrings are the vacation staple. These are the pair of hoops that every woman needs, brought to the next level. A collection signature, they add glamour to a maxi dress and are easy to pack for jet-set style. Similarly, the Kharis Hexa Pearl Necklace sits across the heart, a beautiful gift to give, or to treat oneself with. Believed to have a calming effect, pearls have been treasured and passed on throughout generations. Loyalty, integrity, generosity, and purity are meanings associated with them. 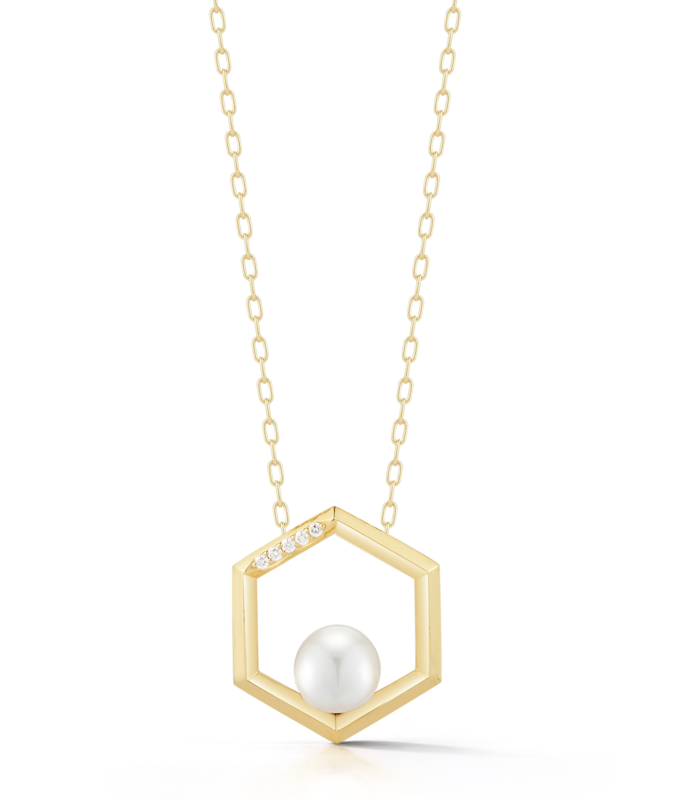 In the Kharis Hexa Pearl Necklace, the Akoya sitting in the base of the hexagon—balanced and free—is symbolic of its wearer. “Luminescent pearls bring light to the face, and confidence to every look. They can show off a woman’s poise and ease by illuminating the summer’s bold colors. Because they’re so essential to any contemporary, luxurious style, I think of them as the base for a kind of minimal, modern uniform. They add refinement and luxuriousness to every look, from poolside to an elegant night out” says Heena Shah, Creative Director and Co-Founder of Valani Atelier. For more information about Valani Atelier, visit http://www.valani.com, call 212-702-9703, or contact Valani Atelier through their contact page. For questions regarding this release, contact Olga Gonzalez at info(at)pietrapr(dot)com or call 212-913-9761. Valani Atelier Co-Founder and Creative Director Heena Chheda Shah is the youngest jewelry designer to have won prestigious AGTA Spectrum, Platinum Guild, and Women’s Jewelry Association Awards three years in a row. She has trained at the Gemological Institute of America and has a background in industrial engineering, having worked at Michelin in Lyon, France, Google in San Francisco, and as a consultant in New York City. Based in New York, Valani Atelier sells 18 Karat gold jewelry set with rubies, emeralds, sapphires, and pearls sourced directly from mining centers in Brazil, Colombia, Zambia, Mozambique, and Japan. Following the traditions of craftsmanship perfected by generations of Italian goldsmiths, the results are masterfully executed pieces that combine a heritage of artistry and striking design.